Florida residents know the summer months are going to be uncomfortable without a working air conditioner. 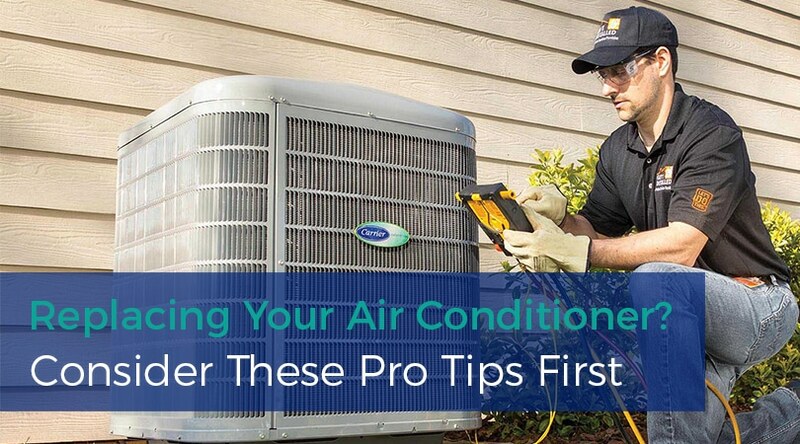 While being proactive about regular maintenance will extend the life of your equipment, even the best air conditioners will eventually wear out. Before you decide to replace your AC make sure you are aware of the many options. We’ve compiled tips from the pros to help you make a well-informed decision. Discovering your air conditioner isn’t working is never a great feeling, but you shouldn’t assume you have a worst-case scenario on your hands. Before you purchase a new air conditioner, call a professional HVAC contractor. An inspection will reveal specifically which parts of your AC unit are broken or worn out. Your contractor should be able to explain your options and provide you with work estimates for both part replacement and total unit replacement. You may be surprised to discover that the cost gap between part and system replacement isn’t as wide as you anticipate. Even if the estimate for replacing your air conditioner is larger than a repair, it’s not necessarily the better long-term decision to continue to repair parts. There are other factors to weigh. If your system is older, and near its life expectancy, it’s possible you will continue to pay for additional repairs in the coming months. Multiple service calls will add up. Additionally, energy efficiency and technology continue to improve. Replacing your air conditioner will likely reduce your monthly utility bills. If your contractor is an authorized dealer, they may be aware of rebates or special financing deals an HVAC manufacturer is offering. Working directly with your HVAC contractor to purchase and install a new air conditioner can save hassle and money. As mentioned above, energy expense is a factor when comparing HVAC systems. “SEER measures the total cooling effect produced by an air conditioner or heat pump during a normal cooling or heating season compared to the total energy consumed by the device in that period.” Choosing an air conditioner with a higher SEER rating may cost a bit more, but can save you up to 30% a month on utility costs. AC & Heating Connect points out that it’s possible you’ve changed your home’s structure since your HVAC system was installed making a different size unit a better choice when you decide on a replacement. If you have made energy efficient updates to your home such as replacing doors or windows, you may not need as powerful of a unit anymore. Adding or removing windows as well as changing the square footage of your home can also change your energy needs. Bigger isn’t always better when it comes to air conditioners. If you have a system that is too large for your space, it will not run efficiently, and parts can wear out sooner. Additionally, this will affect SEER and can increase utility bills. The ability to program your thermostat to regulate your home’s temperatures throughout the day is more than a luxury. A smart thermostat can also help you reduce your utility bills and keep them lower year round. When you have your new air conditioner installed this might be the best time to add an Ultraviolet Air Purifier too. Improving your indoor air quality can reduce health care bills and increase your energy. Learn more about our Ultraviolet Air Purifiers here. Is it time to replace your air conditioner? The pros at Ball Building Services in central Florida are available to help you make the best choices for your residential or commercial space. Contact Ball Building Services via phone or email to learn more about your air conditioning choices. 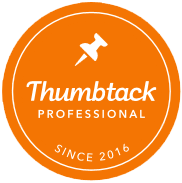 We are happy to provide written estimates for work. Whether you decide to repair or replace your air conditioner, our skilled professionals will complete the work promptly. 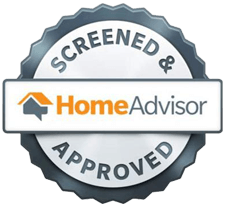 Give us a call and learn more today.